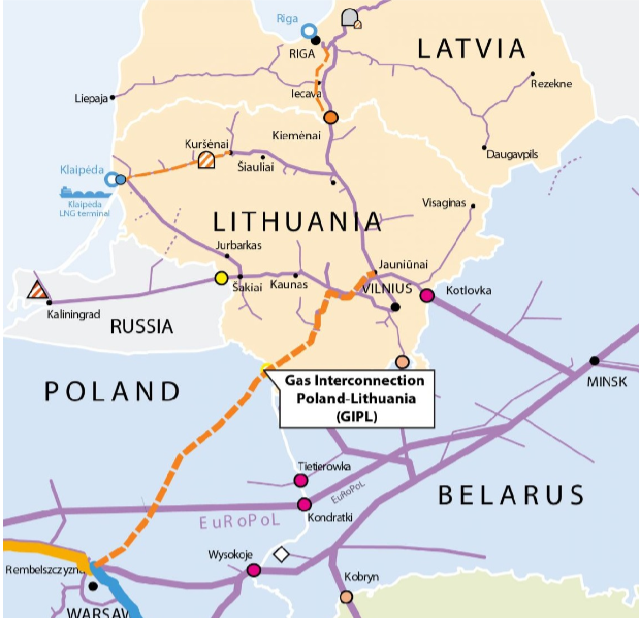 Green light for the strategic gas pipeline between Lithuania and Poland ! Lithuanian Energy Minister Zygimantas Vaiciunas pointed out that "GIPL is one of the most important projects in the country's energy sector, as it paves the way to integrate the gas transmission systems of Lithuania as well as the Baltic States into the common European gas market. It also secures another alternative gas supply source, economic benefit and security of energy supply to all partners involved". According to Amber Grid CEO, SauliusBilys, the total length of the gas pipeline will be around 500 kilometers, including 165 kilometers on the Lithuanian side. The new capacities will allow transporting up 27 terawatt-hours (TWh) of gas to the Baltic countries and up to 22 TWh to Poland annually. The GIPL project aims to integrate gas markets of the Baltic States with the uniform gas market of the European Union, diversify gas supply sources, and increase the security of gas supplies for the states of this region. The project has been recognised by the European Commission as one of the key infrastructure projects ensuring the implementation of the energy solidarity mechanisms and security of supplies critical to the EU energy security.